Disclaimer: I am not an essential oil advocate. Below is my personal experience using dōTERRA products. This post is not sponsored and I did not receive products for free to review. Some mornings you wake up ready to tackle the day…other mornings, you wake and feel the day tackling you. I have had such a morning the past two days. After a night of tossing and turning, coughing and hacking, it’s hard to muster the energy to open my eyes, let alone stand. Standing sets off the alarm bells in my head – something isn’t quite right. That’s when I notice the pressure and tightness that have inhabited my lungs during the night. As a former asthmatic, these symptoms used to send my anxiety into overdrive as it was never long before my airways began to close and breathing became too difficult. Back then, I had to rely on man-made medications administered through an inhaler or nebulizer to force my lugs open once more. But those days are long gone! Now, as the weather starts to get cooler, and the pollens start to fly, there’s no reason to panic. About four years ago, I traded in my man-made medications in exchange for God’s all natural medication in the form of essential oils. As an individual with a history of severe allergic reactions to medications, I feel so blessed to have all natural alternatives. This morning, when I felt that tightness grip my lungs, I headed straight for the refrigerator. That seems like an odd place to go at that particular moment, doesn’t it?! Within that chilly fortress lives my saving grace during moments of breathing difficulty – my dōTERRA Breathe® vapor stick. This amazing product eases discomfort through a cooling and soothing vapor. I like to keep mine in the refrigerator for a few reasons: 1. During the heat of the summer, I noticed it began to “melt” while sitting out on the counter, and 2. For me personally, when I can’t breathe, I often feel overheated at the same time. The coolness applied to my skin aids in lowering my body temperature and allowing me to feel like me again. With just a swipe or two over my chest, relief is moments away. And it couldn’t be any easier to use – it honestly looks like a giant chapstick! While I don’t have children of my own yet, I imagine it would be so easy to use on a sleeping little one during times of sickness or discomfort. Another time I love to use this product is right before I exercise – once again it keeps my lungs functioning properly and helps to keep me a bit cooler! Have you tried dōTERRA’s Breathe® vapor stick? Share your experience with me in the comments below! 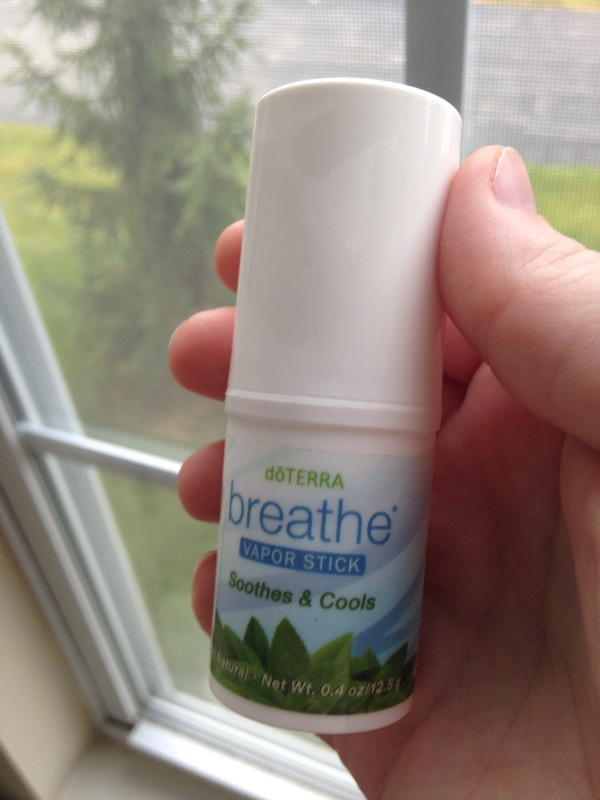 Let me know if there are any other ways you use Breathe®! We’ve all been there, you see a post on Pinterest and think “I can totally do that.” I had such a moment this evening and in my oh so humble opinion, it was an epic fail. In the battle of four ingredient zucchini tater tots vs. the aspiring chef, the tots were victorious. What should have been a stress-free endeavor according to the original post that spiked my interest, turned into a frustrating experience. The tots just didn’t hold their shape. No matter what I did to shape them, even resorting to using a tablespoon as a mold, mine looked more like mini mountains of grass than the perfectly shaped cylinders I saw on Pinterest. What should have taken 15 minutes to brown, actually took FOREVER (read as 25 minutes), and the moment they browned they burned instantaneously. Luckily no smoke alarms went off during the making of these tots. Oh and turning them over halfway during baking, forget about it…they crumbled into pieces. As for the taste, it was alright, probably should have used more seasoning I think. I guess it’s possible my zucchini to potato ratio may have been off – I had two very small zucchini to two good size potatoes. I was also impatient and hungry, and in hindsight should have left them in the freezer longer. So while the battle may have been lost this round, I may demand a rematch. Until then, maybe I’ll stick with store-bought! I love the color green, it’s one of my favorites. And I love smoothies, even in the wintertime. So putting the two together – why have I not done that sooner? As I was off work today due to Martin Luther King Jr. Day, I decided to make my first ever Green Smoothie chalk-full of healthy, natural and delicious greens! One of my favorite ways to waste time (when I should be doing homework, or folding laundry, or making a shopping list) is watching various cooking channels on YouTube. And since we’ve started this new lifestyle, I’ve added a few new channels to the mix focusing on consuming foods raw and in their natural state. Needless to say, I’ve watched a dozen or so videos on different ways to construct the ultimate Green Smoothie and I was feeling up to the challenge! Unfortunately for you, I didn’t follow a particular recipe, nor did I measure my ingredients. So trust me when I say you’ll just have to trust your gut on this one, it won’t steer you wrong! Now, here’s where things got a little interesting – I had everything in the blender, pushed the button to mix it all together and milk goes everywhere! As the blender was already assembled when I went to use it, I didn’t know there was a large crack in the base. (Ugg!!) Food processor to the rescue and the smoothie was saved! Personally, I loved the taste! Hints of tropical paradise with the pineapple and lemon. Nice and creamy with the banana. And the spinach and kale made it a beautiful shade of green! This is one I plan to make again – even Scott enjoyed the taste! For dinner tonight, we incorporated the kale again by making this delicious Spaghetti Squash with Kale, Fire-Roasted tomatoes and chickpeas. Just a wee bit too much kick for me (may have added a dash too many of the red pepper flakes!) but overall fantastic and very filling! We had enough leftover to each enjoy it for lunch later this week – and that’s a win in my book! I will be the first to admit that I hate shopping. It doesn’t matter what for – clothes, household items, or groceries – I absolutely hate shopping. The only exception being the bookstore, I could literally spend hours there and not have enough time! Anyways, about a week ago, an Aldi grocery store opened up near our apartment and Scott and I were thrilled! We have heard my parents and friends talk about how great this store is and how inexpensive their selections are because of the different cost-saving initiatives the store have implemented company wide. With my shopping list in hand, I prepared for my first solo Aldi shopping trip. Now, as this was my first shopping trip, I’m not sure if that’s a good haul or not, but at least now I have something to compare future trips to. And, this was ingredients for four dinners…not too shabby. What’s in your shopping cart this week?! The New Year is often associated with resolutions…be happier, spend more time with the family, work less, lose weight, eat healthier. These are all great and I hope that anyone who makes them sticks with it through the long hall. This year, I’m not participating in resolutions that will fall by the wayside before February. Rather, Scott and I are committing to making a lifestyle change to eat a whole food, plant-based diet instead. We began talking about this in early December 2016 after visiting with his family for the holidays and expressing our concern about some health issues. We were encouraged to make this change after listening to the health benefit testimonies from his family members who have been eating this way for a few years. They graciously provided us with multiple resources to get us started, including the documentary Forks Over Knives, which we finally had the time to sit down, watch and learn the many interesting facts and statistics it presented today. I will be honest, a-couple-weeks ago we tried our first plant-based meal, a veggie burger, and it was disgusting, completely lacking in flavor, although it was pretty-looking plate. Two things happened as a result of that meal, first, I had a meltdown thinking about all the food I’d be giving up (beef, chicken, turkey, ice cream, cheese, sweet treats) and I lost it. I didn’t want to do this and I was angry because in that moment I felt Scott was “making me” do this, even though he wasn’t, he fully supported me not following him on this journey. Second, we began to learn what worked and what didn’t (namely, the beans we selected and the veggies we included), and that we NEEDED to find a different “burger” recipe and fast! Since that inaugural vegan meal, we have had success in the kitchen. We found a “cheese” sauce made with cauliflower that we put on baked potatoes one night and then used the leftover sauce on noodles for macaroni and “cheese” the next night with garlic and basil roasted red potatoes. While that dish had no dairy or animal byproduct, I was able to fool my brain into thinking it was the thick and creamy mac and cheese from childhood! That recipe is a keeper in my book! For lunch today, Scott whipped up Avocado Pasta with cherry tomatoes and corn. As a side we had some pretzels with garlic hummus. The avocado sauce called for fresh basil, which we cut from our plant, so it great knowing one of the ingredients was grown by us! Another fantastic dish in the books! We have decided that anything that calls for avocado is going to be delicious! In addition to these, we have enjoyed making our own homemade guacamole for a tasty snack or side! I know not every meal will earn two thumbs up, and there will be days that I struggle. But I have decided to be 95/5, meaning 95% of the time I will be fully committed to this eating behavior, but if I am out with friends and want a piece of pepperoni pizza, I’ll have it. If I’m over at my parents house and my dad decides to grill up some hamburgers, I’m going to enjoy one. These times will be the 5% – the special treats, the once in a blue moon occurrences. To hold myself accountable and to gain support from others who have made this lifestyle change, I’m going to be sharing my experiences with you – the good, the bad and the ugly, the highs and lows, the failures and successes. If you have any go-to recipes that don’t call for meat, dairy or other animal byproducts, please share with me! I will be the first to admit that I have a tendency to turn molehills into mountains. I know I worry about things other people wouldn’t bat an eye at and I know I lock up my troubles and fears until I’m at a breaking point. This year I want to change that. I want to be more relaxed, to go with the flow, to let go of the little things. I read somewhere a quote about additude, it was about constantly choosing happiness, positivity and to be a positive force of good in the world, so that’s what I’m trying to do. I figured the best way to change my outlook on the world was to first start with the outlook I have on myself. Good things in, good things out, right?! Every morning I start my day with a big glass of water with breakfast. I’ve come to the conclusion it’s not worth it to drink my calories and they say that a glass of water first thing in the morning helps to wake you up and jump start your metabolism. Sometimes for fun, I’ll add one drop (you really don’t need a lot!) of peppermint essential oil for a refreshing taste. My drive to work used to stress me out also; it’s a new drive with more time spent on the expressway. And once at work, it’s trying to learn new processes and procedures, learning the ins and outs of a new work and team environment and trying to find where I fit on the already established team. I had no idea how draining that would leave me feeling at the end of the day. So to counterbalance both of those, I found a local christian raido station. The music fills my soul and recharges my batteries. I feel empowered to take on the world, or at least my little piece of the world that is. Finally, my sleep schedule has been suffering lately and I realized it’s because I stopped exercising during the busy holiday season. But no more excuses of being too tired after work, my waistline can’t keep expanding! 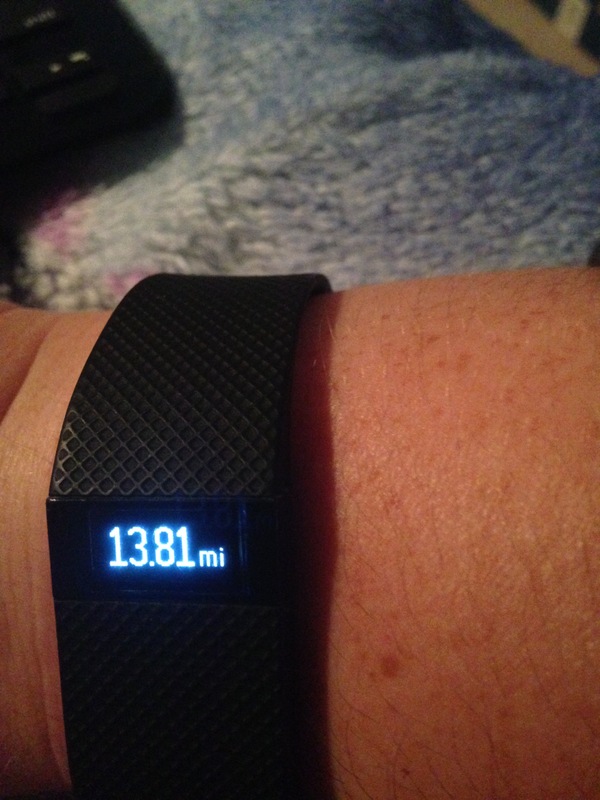 One of my favorite workouts is the at home walking workouts by Leslie Sansone. I was so excited to find this 5K walk with a power boost on YouTube. I’ve used this workout twice now and it really gets your heart pumping, which for me allows for a more restful night’s sleep, allowing me to wake up in a better mood and more likely to make better choices through the day. I’m hoping that as the days and weeks progress, these little things will become part of my natural routine and that I’ll be able to add more positive habits into my daily life. What steps do you take to have a better day, life and outlook on the world? I’m still early on my journey and would love to know what’s worked for you! 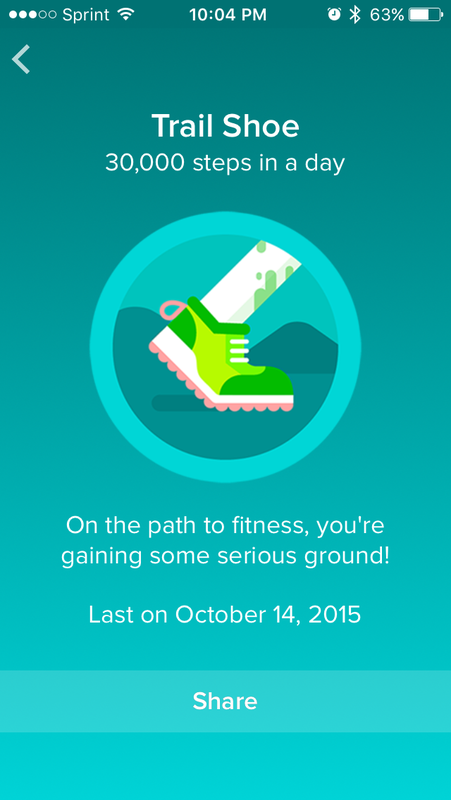 Tonight I am celebrating the farthest distance I have ever walked in a single day! So amazed at what a little determination, hard work and self-discipline can accomplish! I used to be one of those people who couldn’t understand how someone managed to work, take care of a family, have a social life AND still somehow manage to find time to workout. But when I started my Destination Chicago challenge through work (we have 60 days to walk the 365 miles from where our work is to Chicago), I began to notice all the times I spent sitting – reading, watching television/youtube, playing on my phone, being bored, talking, etc. and it got me thinking how much better that time would be spent if I was moving! So this morning, I couldn’t eat breakfast because I was fasting for blood work, so I decided to take that hour I dedicate to breakfast and email and TimeHop and walk in place in my livingroom. I have two miles in before I got to work! Once at work, I always arrive 30 – 40 minutes early to walk the track. But, since it was raining today I continuted my in place pacing in my office at a back cubical where people couldn’t see me until it was time to clock in. 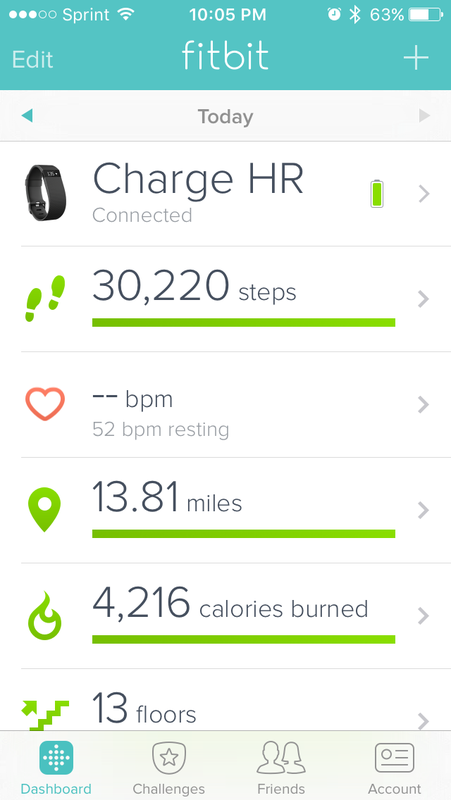 I was now up to four miles. At 9:45 am I went to have my blood work done, and that was a little hike to another building and up a grand staircase. Then repeat to head back to my office afterwards. I was just under 6 miles. Then came lunchtime….still rainy and cold. Normally I would walk the track for an hour, but today I decided to check out the campus library. 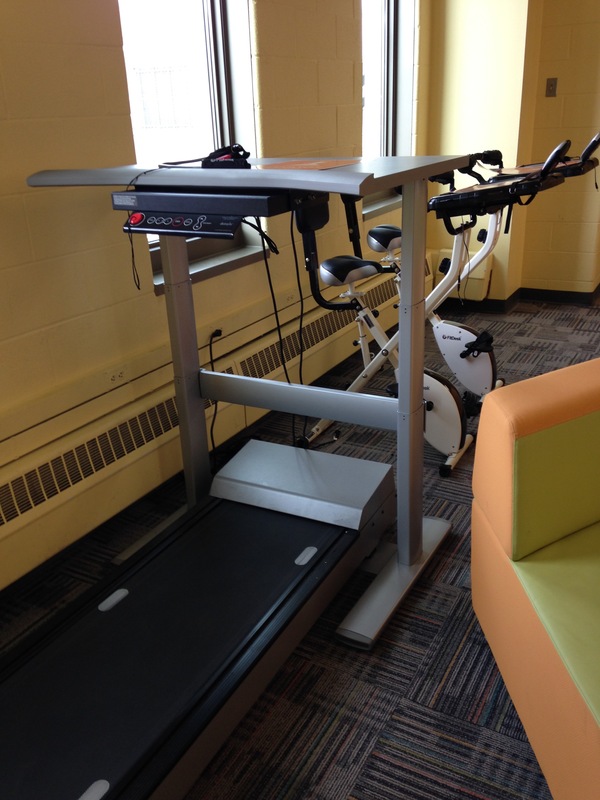 New this year is a treadmill desk and two stationary bikes with desks for students, faculty and staff to use. 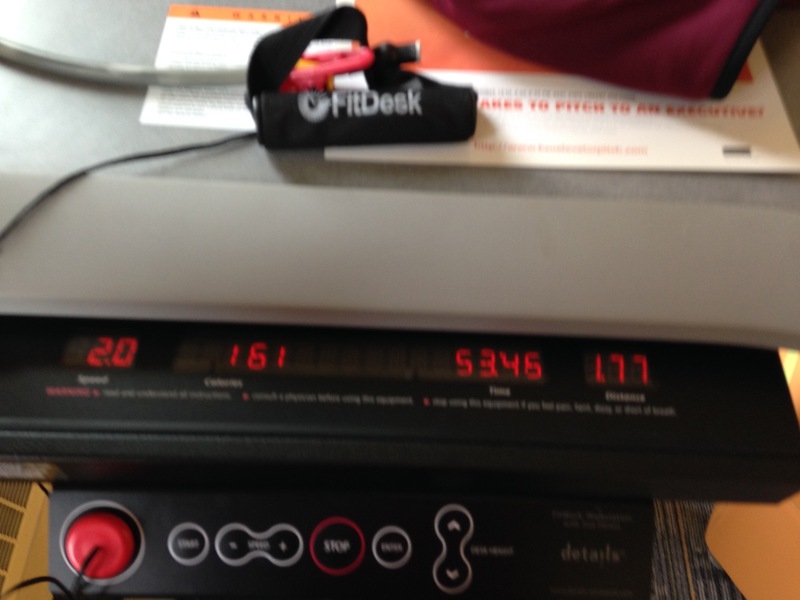 I prayed no one was using the treadmill desk on my walk to the library and then up the staircase to the fourth floor. And it was my lucky day because it was unoccupied! For the next hour I walked and watched youtube videos on my phone while connected to the wifi. I got some strange looks, but hey, if it’s there, someone outta use it! Even better, there was a tour group that came in of high school students and their parents and I overheard the guide point out that students use the walking desk to blow off steam or exercise between classes and then pointed my way like I was on exhibit. I tried so hard not to laugh. By the time I made it back to my office, I had in a little more than 8 miles. When I got home this evening, I took a short break to catch up with my family and eat dinner before lacing up my sneakers once more. I completed the remaining miles while marching in place while watching youtube and a live Periscope broadcast. Then when I needed to stretch my legs I began walking up and down the hallway – you wouldn’t believe how fast the steps add up that way! And now, after asking so much from my legs and feet, it’s time to give them some love. A nice massage with doTerra essential oil Deep Blue Rub before bed and some easy stretches seem like they will fit the bill. How do you relax and take care of your legs and feet after being on them all day? The fastest this thing went was 2 mph. Still, not bad for a relaxing walk during lunch.